If you want your invitations to be noticed, foil invitation printing is the perfect solution. Print foil invitations for business and event promotions to create luxurious cards that really make an impression. Choose between copper, gold, and silver foil and a range of size and customization options to create invites that will be hard to refuse. UPrinting also offers spot UV to give your invites an added vibrancy, creating a nice harmony with the metal foil. Foil invitation printing isn’t just for businesses either. 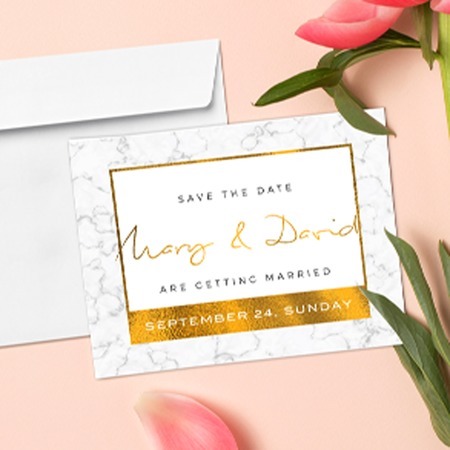 Metallic foil printing is a popular look for wedding invitations and other upscale events such as christenings, bar and bat mitzvahs, fundraisers and other social occasions.